If you want free forklift training, there is a ton of easily accessible information available on the Internet. There are two main categories of information about free online forklift training. Maybe you are in your last year of high school and thinking about being a forklift operator when you graduate; you have a computer and an internet connection and want to learn everything you can about the job. Or maybe you’re a veteran employee and want to change careers. Becoming a forklift driver can get you in a new job fast, and can provide you with the opportunity to live just about anywhere. No matter where you are in your journey, you need forklift training and a forklift certification to get to your goals. Learn more about free OSHA forklift training and our top quality programs. What is Involved with Forklift Training and Certification? All workers who wish to operate forklifts must complete forklift training to feel competent and confident at driving forklifts in any type of work environment. Forklift training is a general term, and you can read more about the specifics involved here that OSHA requires. Forklift certification is the license workers receive once they successfully complete forklift training and pass the in-person evaluation. The forklift training program is not free, but with FLC it’s extremely affordable and will reward you with a free forklift license upon completion. Besides the fact that it’s an OSHA requirement, forklift training comes with many benefits you may not have thought of. Read them here to learn how getting a forklift certification can open the doors to more career opportunities, increase your pay, increase your bottom line if you’re an employer, and more. The (low) cost of forklift training pays for itself many times over to help you create a successful career or thriving business. In the United States, the Occupational Safety and Health Administration (OSHA) governs workplace and worker safety. For free OSHA forklift training, the organization’s web page on powered industrial trucks (forklifts) is an excellent source. Right away, you will learn that one-quarter of all forklift-related deaths are caused by overturning forklifts and that this is the leading cause of forklift fatalities. That’s an easy enough concept to grasp. However, the rest of the website is not novice-friendly. Unless you are looking for free OSHA forklift training material so that you can be a compliance officer, you may want to look for simpler free online forklift training resources. If you’re a worker wanting to become a forklift operator, ask your boss about getting you the training you need to get certified. According to OSHA, it’s their responsibility to provide training for you and to ensure that you are certified and confident to drive forklifts. They should provide it for you at no charge and provide you with a Trainer to lead the skills evaluation on a forklift. Once this is complete, you can print your operator license card, if you chose FLC. Whether you’re an operator or an employer, check out FLC’s page on OSHA forklift training for an easy to follow guide on what you need to know to learn how to drive a forklift and be compliant. We are approved by OSHA and will ensure you are 100% compliant with all regulations. Fortunately, FLC make it much easier to learn about forklift training than the OSHA website. You can learn free OSHA forklift training requirements and regulations, while receiving instant access to the top quality forklift certification training you need to be an operator. We teach you every part of how to drive a forklift safely. For example, while you may not think that information on labeling of hazardous chemicals is important to you, you’ll be grateful you had that training when your job requires you to lug crates of glass bottles containing hydrochloric acid. Inside of our forklift training, you will learn not only how to operate a forklift, but additional topics that are free OSHA forklift training. How to certify your operators – This one is aimed at employers and gives a lot of useful information about developing a company-specific and sustainable workplace forklift training program. Trainer guide – This is a free forklift training power point that explains the responsibilities of forklift trainers, what should be included in a training curriculum, different methods of training and OSHA training requirements. All of these free online forklift training guides are available in the Learning Zone of our Resources Page. Is Forklift Training from FLC Free? No, our program is not free, but it is incredibly affordable compared to most other courses that involve an instructor and traveling to a training facility. Each of our individual forklift training courses cost only $59.95 and provide lifetime access, with free three-year renewals for life! Paying for the courses from FLC will give you all of the top quality education you need to be fully prepared to operate forklifts in a professional setting, qualify for higher paying jobs, and be 100% OSHA compliant. Choosing a free OSHA forklift training program or course may seem to save you money right off the bat, but when it doesn’t provide all the info you need down the road, you’ll have to work back to square one and purchase training anyways. Dodge the inconvenience and wasted time by getting the education you need right away, for an affordable price. While there is a vast wealth of freely available forklift training on the Internet, you will need a forklift certification before you can legally drive a forklift in the workplace. OSHA dolls out heavy fines if they discover that a forklift operator is not properly licensed. But more importantly, workers are more likely to be involved in an accident that can cause injuries and fatalities. ForkliftCertification.com courses teach you everything you need to know to operate forklift properly and safely, and provide real value to employers. Each program costs only $59.95, is offered in both English and Spanish, and will ensure you are fully OSHA-compliant. You’ll also receive all the information and paperwork you need to complete the second part of your certification process, the hands-on practical evaluation. 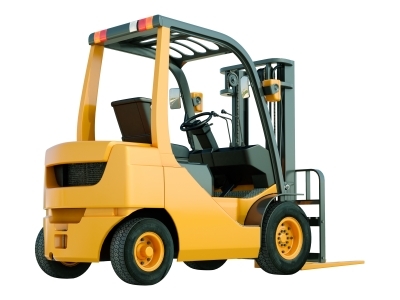 To learn how to become a forklift operator, and for more free OSHA forklift training information, give us a call or visit our website at ForkliftCertification.com.